The anti-White ideology is the exact inversion of this world view. Anti-Whites believe that only White people are bad. All other races have value precisely because they are NOT White. Only non-White cultures are beautiful and meaningful. White culture is not even without value, but is a maliciously constructed ‘system of oppression’. They believe the entire world should be non-White and that there should be no White countries anywhere. 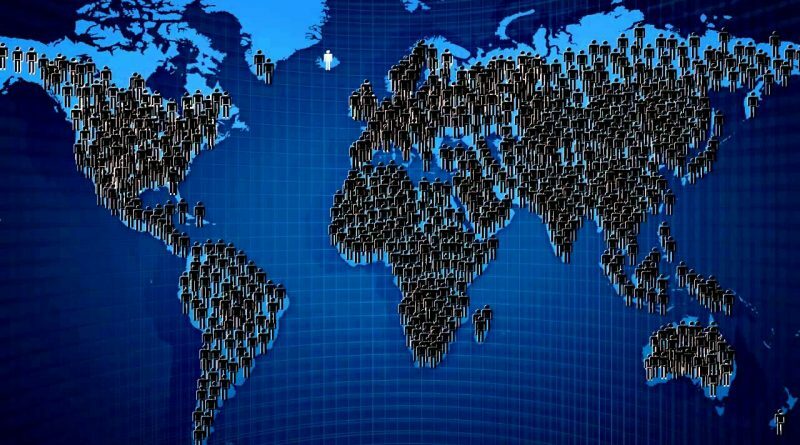 Once mass 3rd world immigration into White countries is complete, any and all White communities should be made ‘diverse’. Diversity means chasing down every last White person. There is only one way to describe the left: White genocide. In the dictionary, the word diversity is simply defined as many different types or kinds. It doesn’t go into a lot of detail. It says nothing about proportions. Of course, the word diversity is used a great deal in our world and we should know that the political definition is completely different. If a town is 90% white and 10% every other group on the planet, according to the dictionary definition of diversity, it is a very diverse town. But we know that in political terms it is not diverse at all. The town is 90% white for Christ’ sake. It needs more ‘diversity’. If a town is 90% black and 10% white, then it is a very diverse town. It doesn’t need more ‘diversity’. The political definition of ‘diversity’ is the absence of white people. Diversity literally is genocide. That’s what it actually IS. The 90% white town needs more ‘diversity’. In other words, fewer white people. No one complains about how ‘coal black’ a community is, they complain how ‘lily white‘ some American suburb is. No one bemoans the lack of ‘richness’ in a homogeneous non-white neighbourhood. Affirmative action has nothing to do with minorities. It is not intended to promote blacks. The purpose of affirmative action is to get rid of white people. Non-whites are incidental. If some government bureaucrat or ‘social progress’ activist demands greater diversity, they don’t give a damn if a black or an Eskimo gets the position. They may make sure the positions are doled out to the most powerful groups within the anti-white political coalition, but the presence of any particular variety of non-white is unimportant. What is important is white people. For leftists, white people are the center of the universe. The concept of diversity can only be understood in relation to them. Without white people, we would not know who is evil and who is good. For leftists, all history is understood in this way. Non-whites have no value in themselves, they are defined by what they are not. Even ‘tolerance’ and ‘anti-racism’ are only defined by what they are not, by what they are against. Anti-racism is not against Mexicans beating the crap out of blacks. Anti-racism is against the possibility that white people may have ’unconscious racism’ lurking dormant within them. Anti-racism has nothing to do with getting rid of racism, it is concerned with getting rid of whites. Anti-racism is code for anti-white. Diversity has nothing to do with non-whites. Diversity is the absence of white people. Diversity is genocide.